I have always been captivated by the line in Leonard Cohen’s Suzanne “She feeds you tea and oranges that come all the way from China”. I recently learned that this line was inspired by Cohen’s introduction, by his friend Suzanne, to Constant Comment®, an orange spice tea blend from Bigelow. Constant Comment was one of the few teas (all loose leaf) that sat on my shelf when I set up house in a garage in Banff, Alberta (housing was scarce in the 70′s). I remember that it became a running joke that I substituted the words “constantly commenting” while singing along with Crosby, Stills and Nash’s “Helplessly Hoping”. 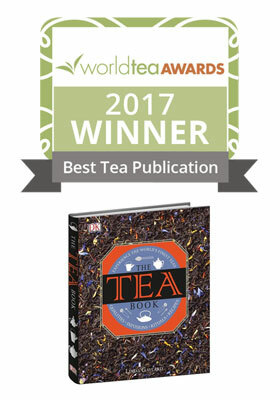 It was perhaps these happy associations that I have with this tea that brought about my own version of the blend on page 62 of The Tea Book. One of the bright spots during Canada’s dreary months of January and February, is the arrival of sun-soaked citrus in our local food shops. There are fewer varieties than we used to see several decades ago – I haven’t been able to find Temple oranges in years and one has to hunt to find Seville oranges for marmalade. Blood oranges however, are now readily available and most consumers understand how to enjoy them. I remember my first encounter with blood oranges whilst travelling on a train from Trieste to Ljubljana. A young local sitting across from us started to peel an orange and he generously offered me a piece. When I learned it was a “blood” orange and noticed the garnet colour of sections of the fruit, I thought it had gone bad and gracefully declined his offer, which of course, I now regret, because the first taste of a blood orange is to be remembered with pleasure. It was a decade later before I had a real taste of this exotic variety and its ability to cheer and colour desserts and salads. From left to right: Lumbini Estate's Burning Sun, Ceylon FBOPF; Thotulagalla Estate Ceylon Black from In Pursuit of Tea; Also from In Pursuit of Tea - Bao Chong Roasted (Cltvr - Qing Xin, Taiwan); Emrok Tea's SFTGFOP1, Kenya. 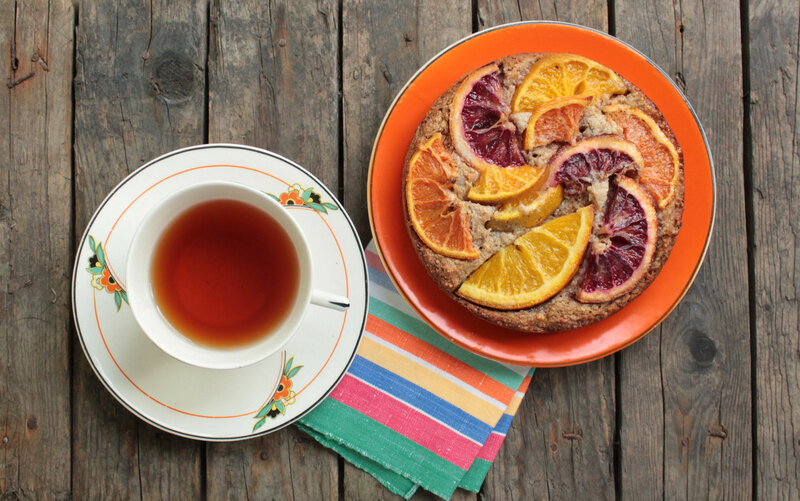 Apart from spicy orange tea blends, how does the orange pair with tea types? Hopefully by now you know that Orange Pekoe is a grade of tea, not a flavour, so any similarity to citrus is purely coincidental. We could start with some bright and brisk Sri Lankan teas. A wee bit of astringency is probably a good complement to the sweet and tangy flavours of citrus. I’ve pulled 4 teas from my tea chest – 2 Ceylon OP’s, one Taiwanese Oolong and a Kenyan OP. They’re pictured above. 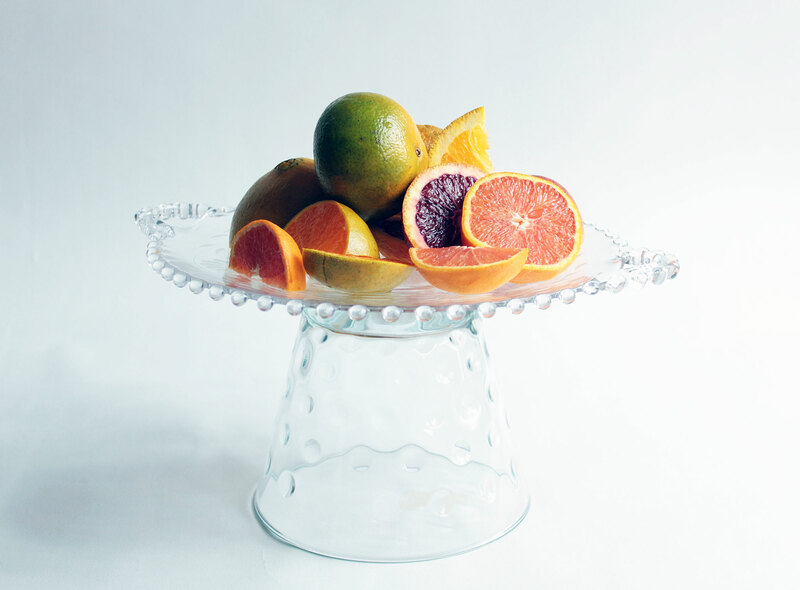 The oranges: honey tangerine, Blood orange (Moro), Navel and Cara Cara (A Navel orange with red flesh). 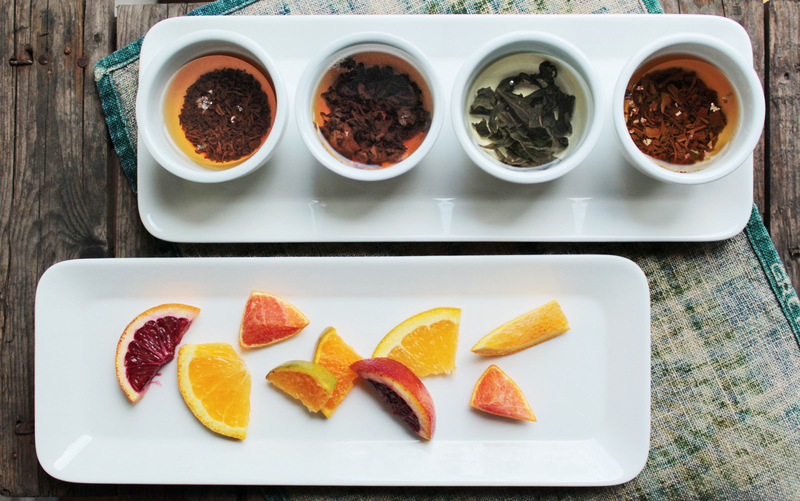 All 4 teas paired nicely with the oranges. I was surprised at how well the Bao Chong Oolong handled the citrus and worked particularly well with blood orange. The 2 Ceylon teas from Thotulagalla and Lumbini Estates were lovely and followed the citrus in a “comme il faut” sort of way. The Kenyan was a hearty participant with flavours that ventured toward the bright tang of citrus, so a lucky contender. Every tea exercise has to have a finale, so I’ve made a citrus tart. Saffron Tea’s 2nd flush Darjeeling from Jungpana Estates is the chosen tea.